Ayurveda works to restore balance in the body, mind, and spirit. According to Ayurveda, your health is governed by three Ayurvedic doshas. They are Vata, Pitta, and Kapha. Every person is made up of all five elements. These five elements are ether, air, fire, water, and earth, and have varying ratios from person to person. So, while each person contains all the elements, their unique ratio of them will determine which is the dominant dosha for them. So, these doshas refer to the three broad types of psycho-physiological principles that make up each person’s body and mind. Vata – dominant qualities reflect ether and air. Pitta – dominant qualities reflect fire and water. Kapha – dominant qualities reflect earth and water. Maintaining the unique balance of each of these doshas is critical to your health and well-being. 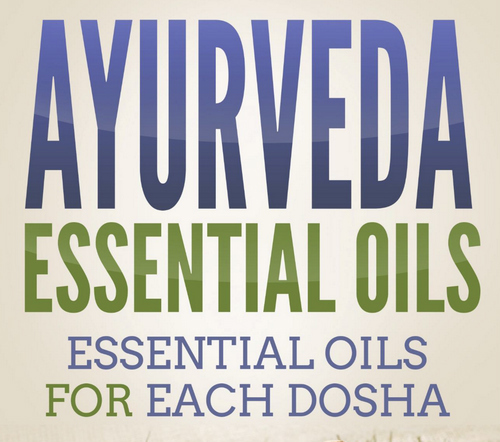 In Ayurveda, the use of essential oils can help bring balance to the doshas. 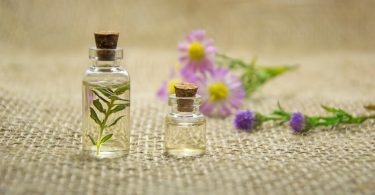 This post will cover the best Ayurvedic Essential Oils for each body/mind type. Essential oils are part of Ayurvedic therapy. This is because each essential oil contains “yogavahi.” This refers to the oils ability to transport the potent healing constituents into the body’s cells and tissues. Aromatherapy enhances your physical and psychological well-being through the aromatic scents of flowers and herbs. There have been studies conducted where experts use functional imaging scans to see how aromatherapy impacts the brain. They found that essential oils positively impact the primitive region of the brain, specifically the limbic system. This is the part of the brain that plays a role in regulating a person’s behavior and emotional responses. The process of linking a particular scent to a particular emotional state is what known as neuro-associative conditioning. This is the same technique used to activate a person’s innate healing powers to jumpstart the healing process. For example, the scent of lavender brings relaxation, so too does taking the time to meditate. Through neuro-associative conditioning, you will eventually learn to associate your feelings of relaxation, the same as if you meditated, with the fragrance of lavender. In Ayurveda, two fundamental principles are; “like creates like” and “opposites balance.” Essential oils with qualities like a Dosha will increase that Dosha and oils with attributes that are unlike a dosha will decrease or pacify that dosha. If one dosha is out-of-balance due to excess, it greatly helps to bring balance by adding its dosha opposite. For example, if you are a Pitta dosha type (firey), and have an imbalance, you are more likely to get angry and irritated easily. They may also experience feeling too hot at times and suffer from symptoms of heartburn. If you eat spicy foods, you may find your symptoms become worse. Instead, you should eat foods that will help cool your body down. As for using essential oils to help with this imbalance, you'll need to choose an essential oil that has a cooling effect. Another example is with Vata Dosha. Vata individuals have qualities of ether and wind which means dry and cold. To find balance, they must reduce their Vata by using an essential oil that has moisturizing and heating effects. 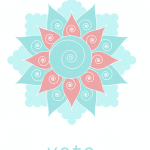 People who have a Vata constitution are often found to be creative and mentally active. They have a quick ability to grasp new concepts. 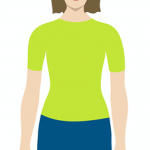 Most Vata types have thinner body builds and are generally seen as slim and tall. They usually have dry hair, eyes, and skin. They are at their best when living in a warm environment. If your constitution is Vata dominant, you need to keep it in balance especially as fall and winter season approaches. In many regions during the winter months, the climate becomes dry and cold. So, you will start to feel an increase in your Vata. 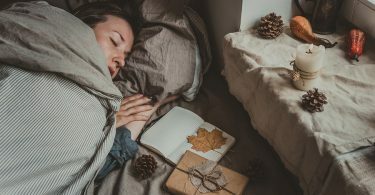 If your Vata goes out of balance before and during the fall and winter, you may be prone to symptoms associated with Vata dominant people. At these times, keeping your dosha in balance is easy with essential oils and aromatherapy. Oils that have a warming effect make it easier for the Vata type person to achieve balance. These warming essential oils can also reduce accumulated toxins in the body. 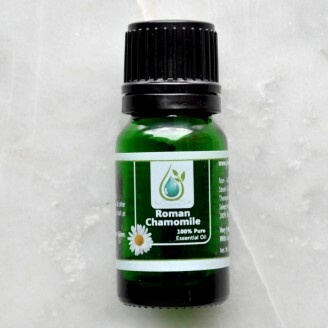 Roman chamomile essential oil is known to help stave off anxiety and tension because of its soothing effect. It is also beneficial for Vata individuals suffering from insomnia. 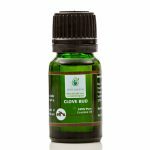 Clove is a perfect oil for Vata individuals. It has anti-inflammatory and warming properties. It also has active compounds that help you to relax and experience an improvement in your body’s overall function. Cinnamon essential oil not only has a warming effect, its scent is soothing. It smells good and brings about warm, positive thoughts and emotions. Cinnamon essential oil is also capable of enhancing brain activity, improving focus and concentration. 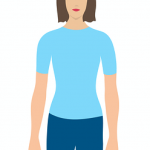 Although Vata types usually excel in these areas, Vata individuals can struggle in these areas when they’re out of balance. 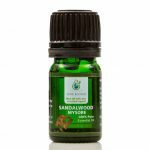 Sandalwood essential oil helps Vata individuals achieve better focus and improves mental clarity. Geranium essential oil possesses active compounds that can improve blood circulation. This oil is especially beneficial to Vata individuals who usually exhibit signs of dry skin. Geranium essential oil helps soothe and heal cracked dry skin. This essential oil also helps the mind and body relax. Pitta people have a muscular build and are of moderate weight. The Pitta dosha is characterized by fire and water. Since fire is predominant in Pitta dosha, it is also linked to physical digestion and metabolism. This type has leadership abilities, and they are usually competitive, energetic, courageous and highly focused. They love problem-solving and observe precision and conciseness when communicating with others. Any imbalance may lead the Pitta type to become short-tempered, intolerant, angry and hostile. They are also prone to experiencing skin rashes and symptoms of indigestion. Having a Pitta imbalance means having too much fire. 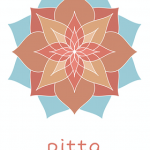 In other words, if you are a Pitta type and you are out of balance, you may become stubborn, begin to be judgmental of others, and start to develop digestive problems and allergies. An imbalanced Pitta may also start to become prone to panic and anxiety, especially when faced with a stressful situation. They can be intense and become resentful, intolerant, impatient, jealous and quarrelsome. When out of balance they can also become vulnerable to liver and blood problems. It is essential for Pitta people to stay balanced especially when the summer comes. They need to keep calm and cool. One way to do this is to use essential oils. 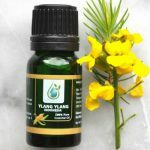 Ylang ylang essential oil has a soothing effect and is helpful for lowering blood pressure. Its scent also induces relaxation. For the Pitta dosha type, pairing this oil with lime will certainly help achieve balance. 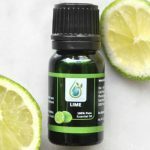 Lime is even more calming and soothing than its counterpart, lemon essential oil. Lime also works to lower body temperature. But, lime has photosensitive properties. This means if you use it on your skin, you need to avoid sun exposure, otherwise your skin may become sunburned. Only use lime essential oil topically if you don’t need to go out in the sun for several hours. Fennel essential oil works to cleanse the whole body. It has potent properties that even when used sparingly, improve digestion. It also helps to slowly eliminate the discomforts caused by eating too much, which is a common trait with the Pitta type. 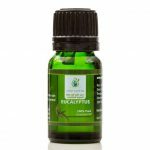 If a Pitta individual starts to feel restless and worked up, this essential oil can definitely help stop any negative feelings. The calming and cooling aroma of vanilla makes it a wonderful essential oil for balancing your mood and lowering blood pressure. Its active compounds help ward off inflammation, while reducing and cooling the body temperature. The aroma of sandalwood helps calm the Pitta’s mind. It also helps promote better mental focus among Pitta types who can often become overwhelmed with negative emotions. Kapha types have a heavier build and appear calm and loving. Yet, whenever, when a Kapha type is out of balance they become greedy and possessive. They don’t like to be out of control. A Kapha imbalance may also lead to slow metabolism. Although an imbalanced Kapha may seem happy and stable, they are more likely trying to make everyone around them more stable. They always try to project an image of someone who is giving their all, yet they are usually worn-out and run-down. When Kaphas are imbalanced, they suffer from allergies and weight gain. They also become vulnerable to experiencing depression. When spring comes, Kapha types feel a natural increase in their Kapha Dosha. This is the time of year when Kapha doshas should counteract this increase so that they do not get out of balance. If you are a Kapha type, you can do this using essential oils and aromatherapy. It is a method that works efficiently in re-balancing the effects particular to your dosha. This means when using essential oils to balance the Kapha, opt for those that are warm and spicy. You can also use ones that have a bit of a drying effect. The warm and drying effects of the essential oils are beneficial for the cold, wet and heavy characteristics of excessive Kapha traits. Eucalyptus essential oil is a beautiful addition to a daily bath or shower routine. This oil has cleansing properties and is helpful in reducing oily skin problems. 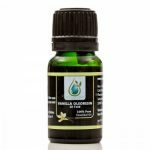 You can also clear breathing passages through the purifying effect of this essential oil. The use of essential oils is more beneficial for Kapha dosha when used in conjunction with exercise, especially in high impact exercising. 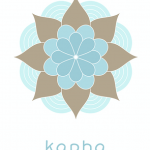 Together, they can help bring balance to the mind and body of the Kapha Dosha. 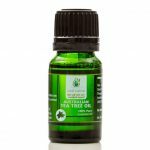 Tea tree oil has antiseptic properties and is helpful for cleansing and purifying the body. Its active compounds also serve to stimulate the body’s blood flow and hormonal secretions. Its drying effect makes it a perfect essential oil for balancing the Kapha Dosha. Use it in aromatherapy if you want to expel sinus congestion and prevent the onset of infections. Lavender is no doubt one of the most versatile of all essential oils. It helps both the mind and the body. It naturally cleanses the skin and helps reduce the size of the pores. Kapha individuals usually have oily skin and lavender essential oil works to reduce signs of acne. It feels good and rejuvenates the skin. 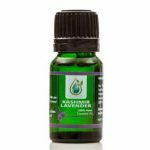 Lavender essential oils also provide relief from congested sinusitis and help relieve a sore throat. The scent of peppermint essential oil is enough to invigorate anyone. Yet, it is especially helping for balancing the Kapha individuals. When a Kapha is out of balance, their mind can become sluggish. It is also during these times that the symptoms of depression can begin. The active compounds of peppermint essential oil help to relieve mental fog. Peppermint oil works even better when mixed with witch hazel. Together their scents provide a perfect combination that helps Kapha individuals restore balance. Sage has purifying and cleansing properties. Its expectorant properties are beneficial for Kapha individuals who have excess mucus. The symptoms of inflammation they can experience in humid climates can be kept at bay with the help of sage essential oil. Also, the aromatic scent can help promote mental clarity, and improve the Kapha’s cognitive abilities when they are out of balance. The active compounds of essential oils can significantly influence an individual’s thoughts and feelings. This is because our sense of smell can stimulate our emotions, memories, and even our instincts. When you inhale the scent of an essential oil, you are absorbing its active molecules to help with emotional or physical health and healing. This is the principle behind aromatherapy which makes it an effective means of bringing about balance in any dosha type. Essential oils contain potent elements used to promote health and healing. For optimal benefit, use the right essential oil to balance the particular dosha. 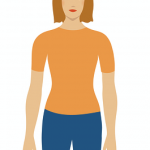 Connect with me below and tell me if you know your body type and if you're already using essential oils, and which ones are working best. I love hearing from you.